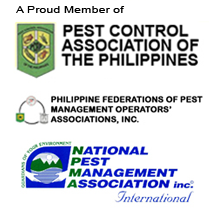 What are some good termite control practices to watch out for when looking for the right termite control service provider in the Philippines? Inspection and proper identification of termite species – A termite control professional always starts with proper diagnosis of the problem. Never trust a termite exterminator who gives you a recommendation (and/or a quote) without him seeing the problem first hand. Proposal and getting the clearance to proceed – If the anay control technician insists on straightaway spraying or pouring pesticides on your property, immediately kick him out of the house. After proper diagnosis, the proposal stage involves making the client understand what the problem is and the proposed solution (and alternatives, if available). It is only when concerns and questions are addressed to the client’s satisfaction that the latter would be ready to make an informed decision. Safety first – Everyone’s safety, not only of the client’s and her family, her pets, property and the surroundings, but also that of the termite control professional, is important. If the applicator lacks the proper devices and protective equipment, and containers for chemicals do not have government-approved labels, then stop him from proceeding. Monitoring – Assessing the effectiveness of the termite control strategy employed completes the loop. This must not be glossed over and just assume that termites were eradicated. Continued treatment and/or adjustments might be required. If at least one of these standard practices is omitted, cross the company out from your list and continue your search. The right termite control professional is now easier to spot using these tips. Click here to read Part 1 on attributes and track record.